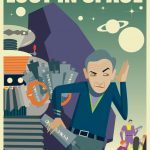 I just happened upon some new Lost In Space products due to be released in April of 2018. They are tin windup toys of the B-9 Robot. I believe these may reproductions of earlier toys. The B-9 tin windup toys come in both a silver and a blue version. 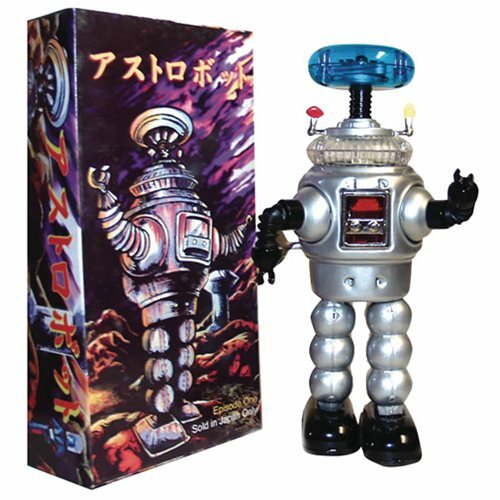 The B-9 Robot Tin Windup Toy features a sparking feature in the chest and lower dome and a strong walking mechanism. 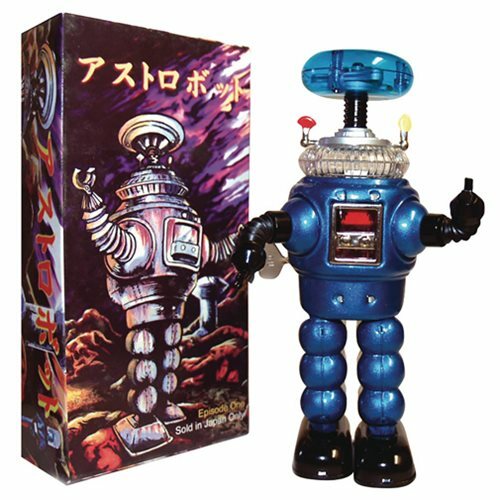 Robot stands 9-inches tall and features translucent blue top dome and metal antennas. Excellent craftsmanship and detailing in all aspects of this robot, including tin radar dish inside his dome, plus his arms are expandable and bendable and give this robot great character and expression! Wonderful classic artwork of robot walking through galactic space storm on his planet created by Justin Volpe.